A comment from this Leaf and Paw article sparked this post. 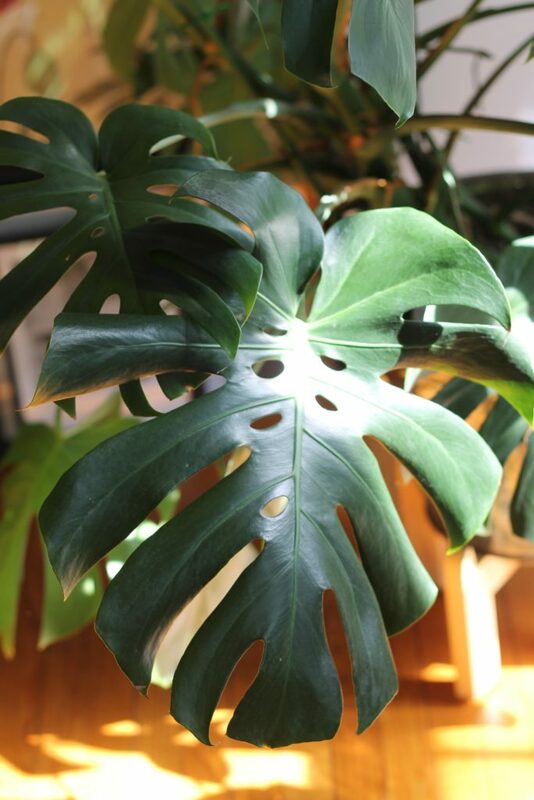 I, as well as many readers, ponder various plant questions time to time – like why do Monsteras have holes in their leaves? 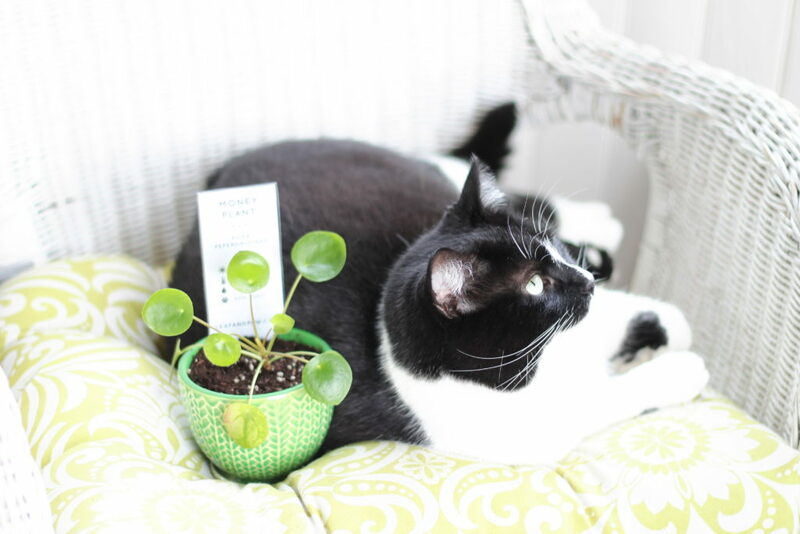 Are Pilea Peperomioides are safe for pets? Why are some plants more toxic to pets than others? And finally, why can’t we just all use stylish planters from Anthropologie without holes in the bottom? Instead of these questions keeping me up every hour of every night, I did a bit of research. I put on my thinking cap to find some answers. So, grab your cat (or dog) and read along. Why do Monsteras Have Holes? I think all Monstera-owners wonder this. If my Monstera has more holes, am I doing something right? Do more holes mean happier plants? No one really knows, but here are some really good educated guesses by people who know more than me. Monsteras grow along and up trees, so, primarily in shaded areas. Research by botanist Christopher Muir suggests these holes allow sunlight to pass though to the base of the plant for photosynthesis = energy. Hole-lier leaves tend to be bigger, which have more surface area to grab sunlight – helping them as they grow vertically and closely against trees. These holes also allow rain to pass and trickle down to their roots as well. I’ve had Monty since he was little, around 2′ tall. I noticed once he passed three feet in height, he started to develop hole-y leaves, which actually works with Muir’s theory. This process is called fenestration. Because Monty gets a decent amount of sun, this may be why my leaves tend to be large but without holes. 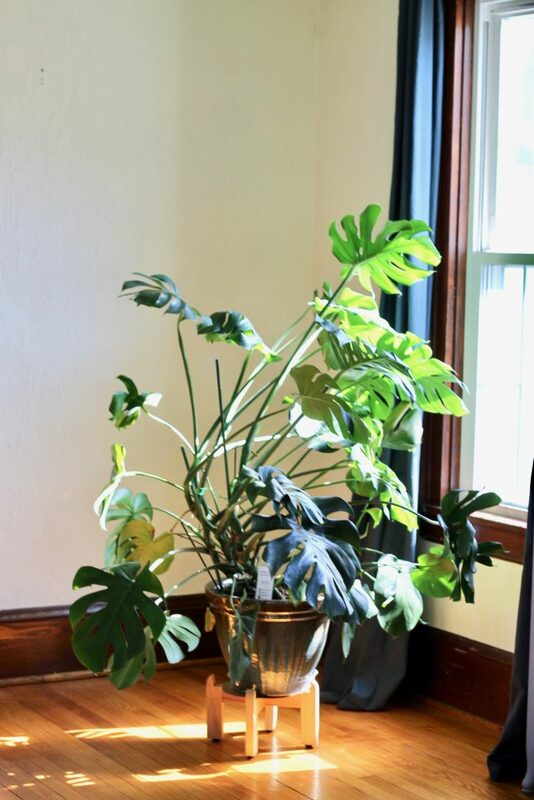 I’ve also read that trimming the small leaves at the base (the little heart ones), helps a Monstera produce bigger leaves with holes. I may just see if that works. Interesting right? 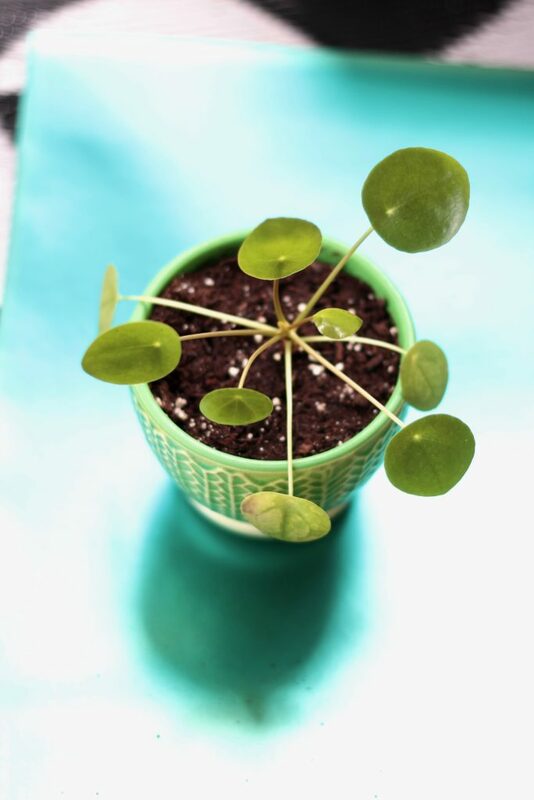 Pilea Peperomioides are currently the most sought-after plant. I don’t really know why the world has this obsession, but I do too and I bought one out of madness. I’m in love with its minimal look and currency-eqsue leaves and I do wonder – are these safe for pets? Multiple people have asked me this question over and over. The ASPCA website, my go-to, doesn’t lend it a yay or nay as a labeled-pet-safe plant. I decided to do some research because I knew there are multiple people who are genuinely concerned about their pet’s safety, myself included. Not to mention, but I will anyway, Pilea Peperomioides are crazy expensive. 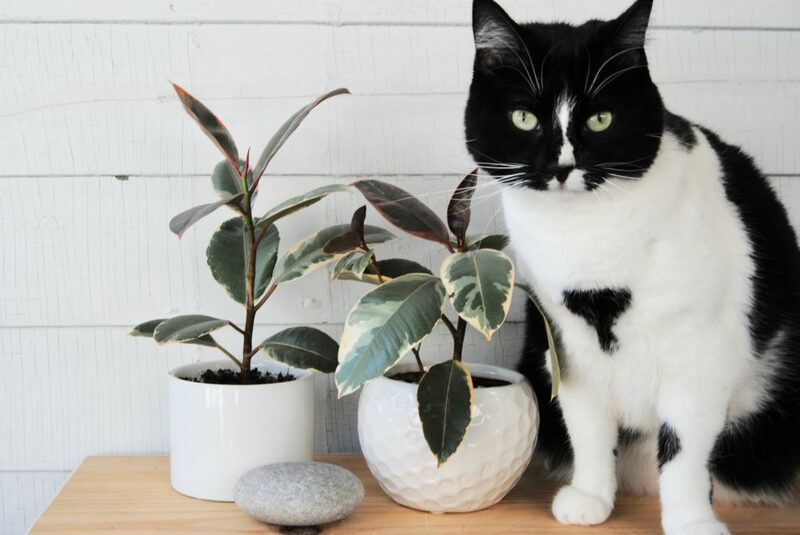 The thought of my cats eating my $50 Pilea, throwing it up, going to the vet, having their stomach pumped, vomiting more, plus a $500 bill = a big ol’ NOPE. I’m not far from Cornell University, so I took the liberty to ask if Pilea Peperomioides are in fact poisonous to cats and dogs. The answer in short was no. They belong to the Pilea family, which is full of pet safe specimens like Creeping Charlie and the Aluminum Plant. So don’t fret! However, the same rules apply like any other pet safe plant – if eaten in its entirety, it can still result in an upset tummy and an unhappy plant mom (or dad). 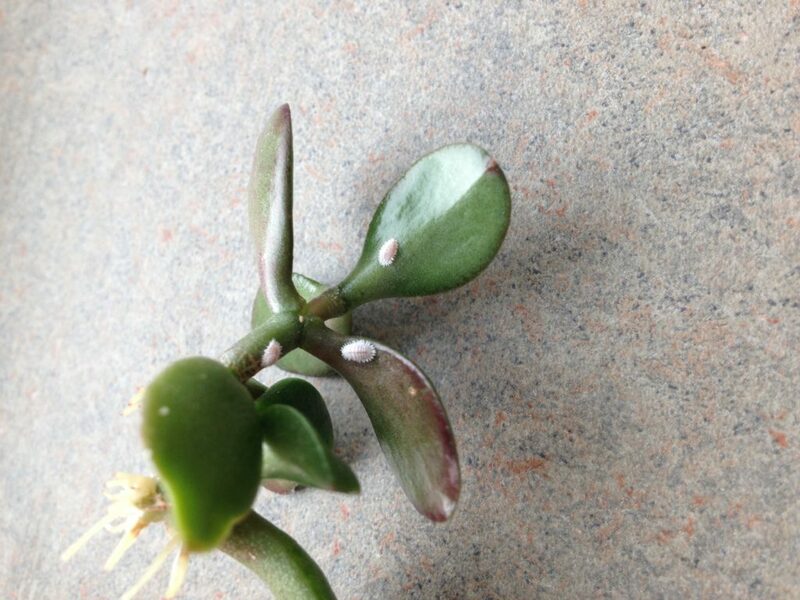 So, as always, watch your pets and your plant. If they seem really interested, you may want to move said plant to another location. Why are Some Plants Toxic and Not Others? Before I even started this blog, I wondered why some plants are toxic to pets while other’s are safe. I don’t want to get too sciencey, but I think this is important to know. Yes, it’s helpful to have a list of safe/unsafe plants to pets at your fingertips but it’s also important to know why. So, why are some plants toxic? Like certain animals (skunks, hedgehogs, other spiny/smelly animals) that use a scent to ward off predators, plants do the same and create a chemical process that is, more or less, similar. These chemical processes are called secondary metabolites. What does it do? According to Wiki it “aids a plant in important functions such as protection, competition, and species interactions, but are not necessary for survival. Usually, secondary metabolites are specific to an individual species.” The best example to illustrate this is a rubber tree. Actually the only reason a rubber tree is toxic to pets is because of the the sap it excretes. You can read more about my rubber tree, Rudy, here. Basically, Rudy creates secondary plant metabolites which is a gluey sap in his leaves when they break or split. Their only function is prevention from being eaten by herbivores, like stegosaurus’ or annoying cats. This kind of toxicity only brings worry when the pant is eaten or nibbled. If my cat brushes against Rudy, there’s nothing to worry about since the only poisonous part is in the leaf. 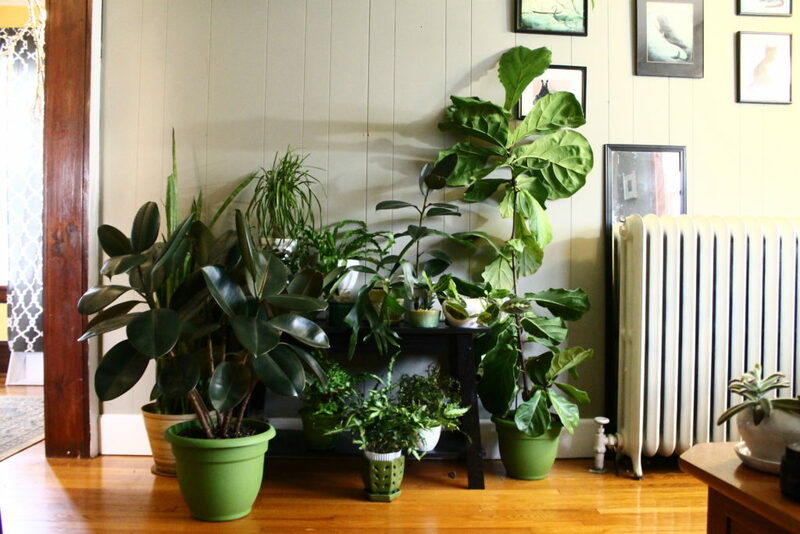 This is another reason why I choose to have Monsteras, Rubber Trees and Fiddle Leaf Figs – they do not cause any harm unless eaten, and I know my cats aren’t interested in eating them. On the opposite end, some plants have metabolites for attraction. From pure observation, I know spider plants look delicious to cats, making the want to consume one in its entirely. Too be fair they look and apparently taste similar to cat grass. They do, like all grassy things cats eat, induce vomiting. Lilies are another example – they are pretty, fragrant and attract insects, but are very toxic to both people and pets if consumed. My vet told me generally the prettier it is, the more toxic it is. So please don’t eat the lilies. Honestly everyone has a phone with Google, so there is no reason to “accidentally” buy a toxic plant. If you’re in doubt or on the fence about a plant’s toxicity, consult my many posts about pet safe and toxic plants like these. Does it Matter if a Planter has Holes? This is a surprisingly common question I get from readers. Most of the cute and stylish planters from Anthropologie, Pottery Barn and Target all do not have drainage holes. Usually, they’re made from concrete or ceramic, so drilling holes in them is not ideal. 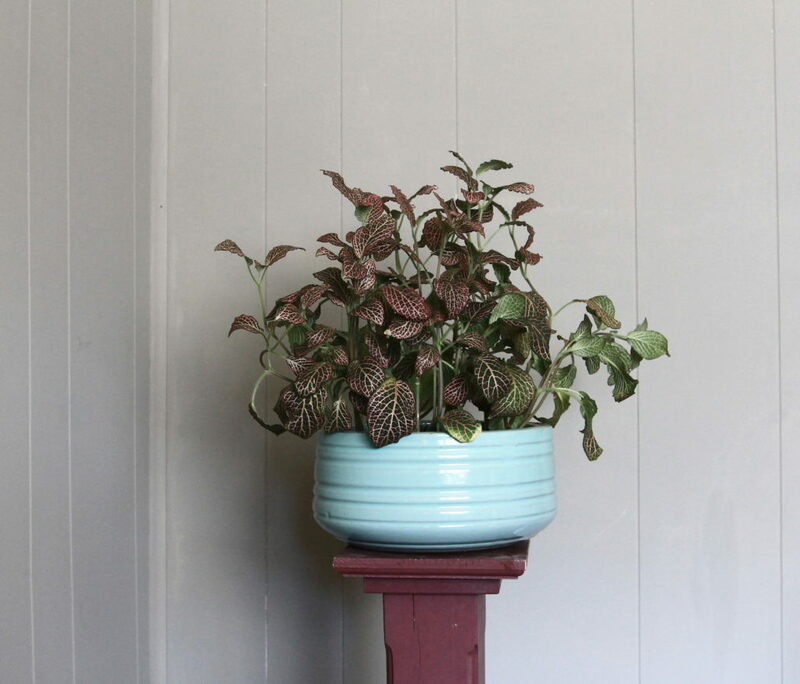 The question is always asked – is there harm repotting in hole-less planter?Well, yeah there is and let me tell you why. Proper drainage is extremely important to plants. Much like a baby in a soggy wet diaper, bad things happen when something is sitting in water for days. Being in a wet diaper for days sounds upsetting and unnecessary. Imagine a plant’s bottom just soaking wet in dirt diaper. Oxygen cannot get to roots, causing mold or fungus to grow, eventually killing the plant. Many people also have a tendency to overwater plants, herby making the diaper problem worse. If a planter has drainage holes, any excess water can flow freely out and the plant only keeps what it needs at the time. Now that sounds better. Terracotta planter with dishes or plastic planters are my picks. Plus, you can easily drill holes in the bottom of plastic planters. And you know what? 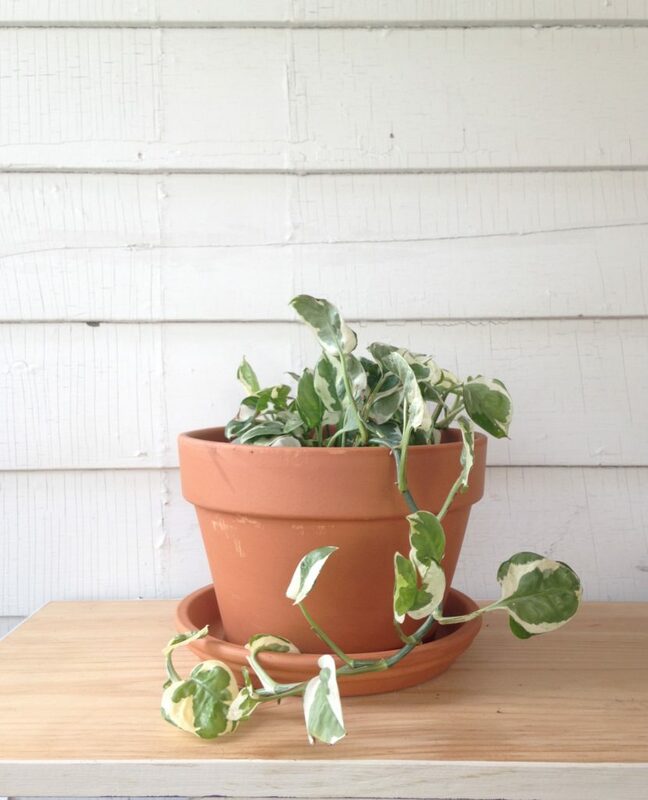 There is a why to still use that expensive Anthropologie planter you bought compulsively. It may not have drainage holes, but the key is to pick a smaller plant than the vessel and keep the plant in its original pot. Slide the pot in the planter. Then you can water the plant, let the water drain out of the plastic pot holding the plant and discard the excess water. Easy Peasy. And better for everyone. I’m so happy I’ve found your blog 🙂 I’ve been a plant and cat mom for a long time – keeping mostly to smaller plants that I know are 100% safe for my kitties. 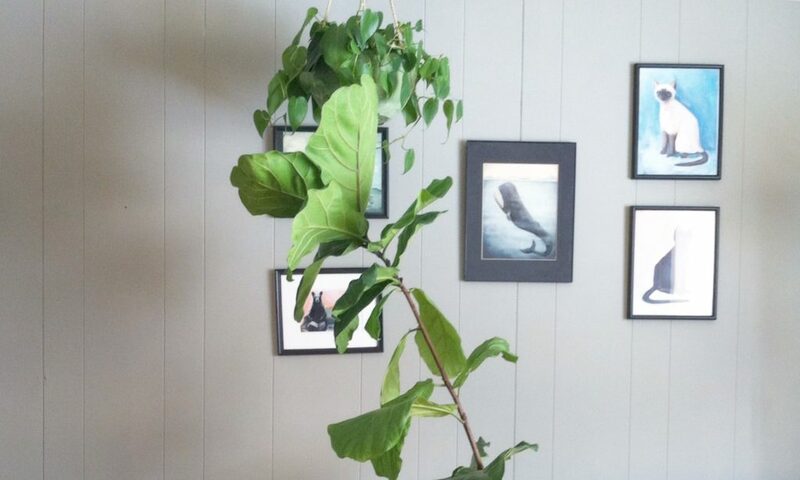 But I’m looking to get some larger leaf plants to add more dimension to my home. I’ve noticed your beautiful bird of paradise plant – have you had any issues with your cats nibbling at all? My cats are similar in the sense that they like to chew grassy plants (my first spider plant had a rough go!) but I always worry that they might take a liking to the large leaf plants. Thanks for reading Jen! I have never had an issues with my BOP. They just ignore it. But I do agreed – I had an obliterated spider plant too when I first brought one home. As you bring more larger plants in, just be weary – watch them and inspect the plant for evidence of chewing. Good luck!